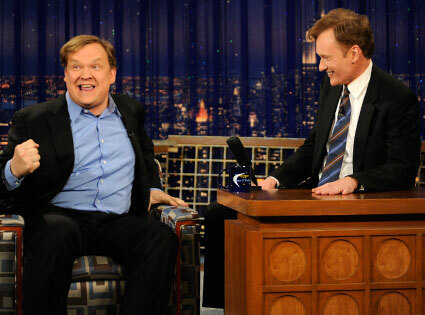 Conan O’Brien’s longtime sidekick Andy Richter will join him on O’Brien’s upcoming late-night talk show on TBS, which premieres on November 8. Richter rose to fame on Late Night with Conan O’Brien on NBC where he spent 7 years before leaving in 2000 to pursue acting career. Richter reunited with O’Brien last year on The Tonight Show with Conan O’Brien and on this summer’s Legally Prohibited from Being Funny on Television Tour. He was recently seen on TBS hosting Team Coco Presents: The Conan Writers Live. “I’m thrilled to be going back to work with Conan, and very excited to start a whole new venture on TBS,” Richter said. “However, I am mostly looking forward to getting out of the house again.” Conan O’Brien added, “This decision was made without my authority. I will get to the bottom of this.” Conan will originate from Stage 15 at Warner Bros. Studios and will be produced by Conaco LLC. Jeff Ross is the executive producer. Conan O’Brien contractually can’t do a TV show until September, but there’s nothing to prevent him from doing a tour of live stage shows — which are supposedly in the works, according to The Wrap and the New York Times. (O’Brien’s reps did not respond to requests for comment.) 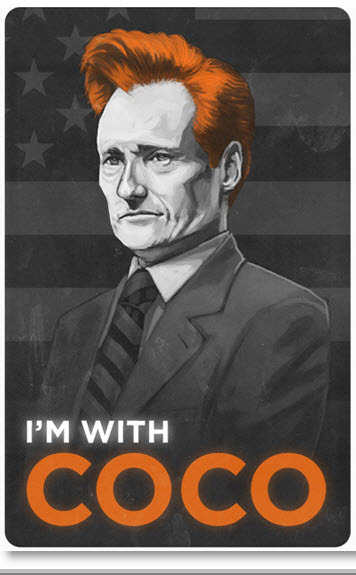 Conan, live and in person? Sign me up, but do it quick. Team Coco’s fervor is fading, and pretty soon the new story will be how Jay’s doing back in his old timeslot, whether NBC can leverage a post-Olympic ratings bump, if Letterman can turn this into the best ratings of his career. The time for a Conan tour is right now. I’d hope a live show would tap into everything O’Brien can’t do on TV; broader, smarter, dirtier, and more daring than any network could ever sign off on. I want more sketches, fewer interviews, more interesting guests, and more full-on comedy geekery, maybe a variety show instead of talk show?